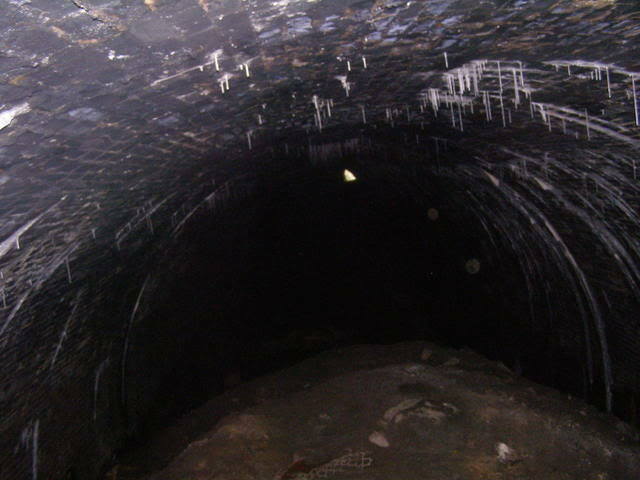 The Butterhouse Railway tunnel was constructed by the London and North Western Railway Company on the Micklehurst loop between Stalybridge and Standedge. 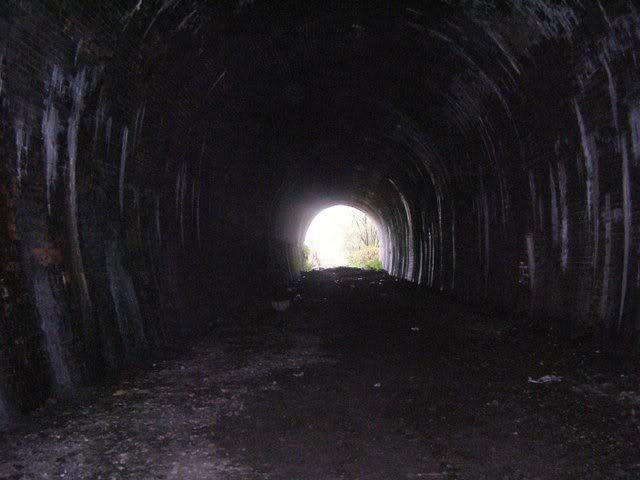 The route was opened in 1886 to bypass the 1846 LNW old line between Stalybridge and Standedge. Normally, the existing route would have been widened, but due to steep hillsides and lack of space, widening the existing route was not deemed feasible. It was mainly a goods line and was closed in 1966, except for a short distance at its southern end serving a power station at Hartshead until 1972. The bypass, later known as thw Micklehurst Loop was just shy of 7 miles long, running up the east of the Tame Valley, with junctions at the east end of Stalybridge station and rejoining the old route just south of Diggle station. 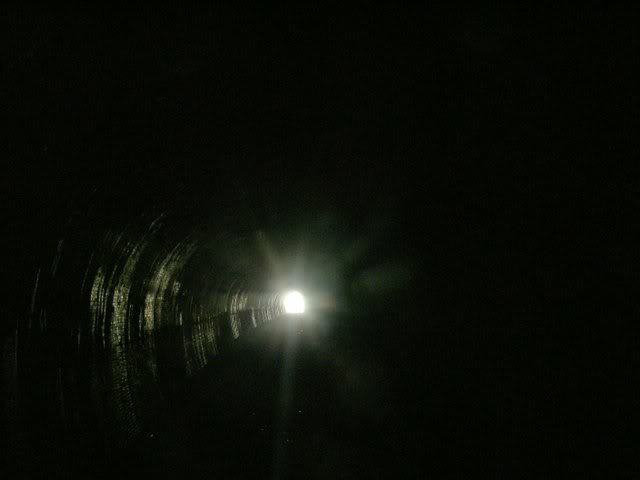 There were 3 tunnels on the line. Stalybridge Cocker Hill, Royal George and Butterhouse. 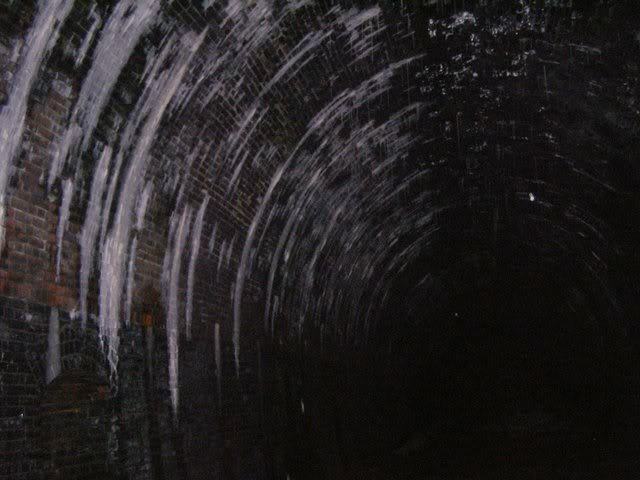 The Cocker Hill tunnel (510 yards) is currently walled up at its east end and the western end is stranded within a sheer walled cutting blocked by a main road a short distance from the tunnel. 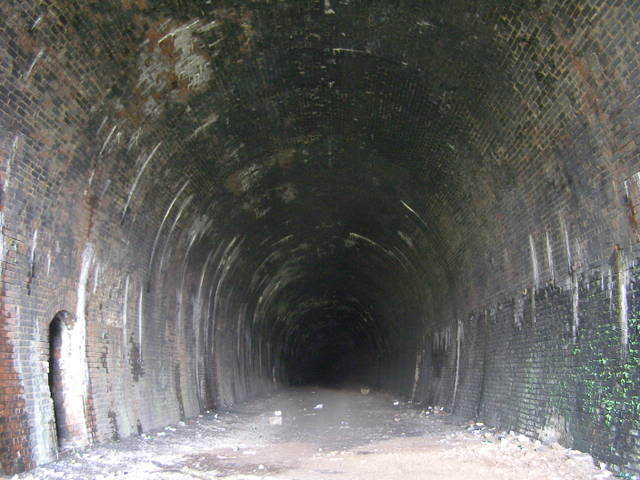 The Royal George tunnel (140 yards) has been backfilled and the portals landscaped. 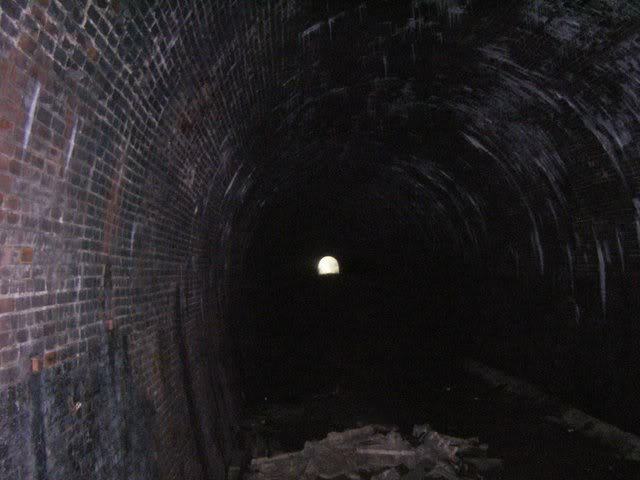 The Butterhouse tunnel (302 yards) remains (partly). 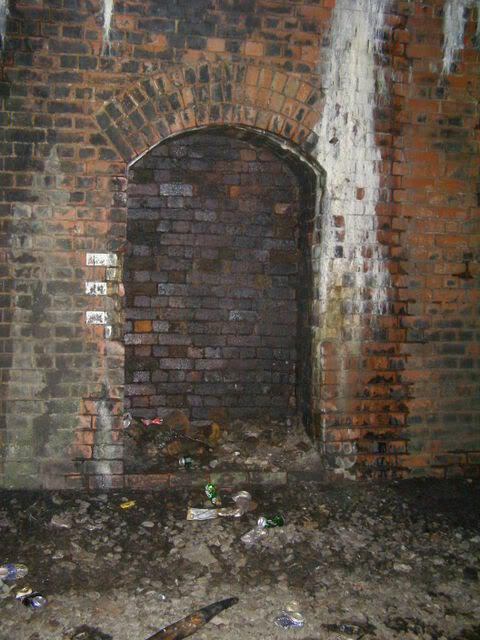 The southern portal has been buried, with backfill extending a short distance into the tunnel. A local farmer has dumped a considerable amount of horse muck in the approach cutting and northern portal, so I'd guess it gets a bit 'high' in the summer!!!! 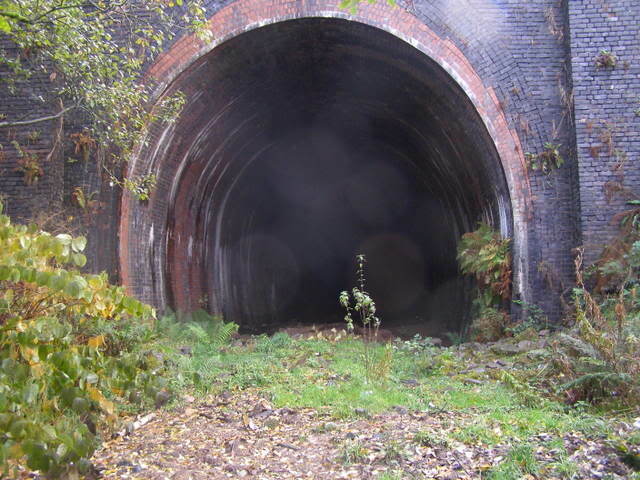 The tunnel is slightly curved and constructed for two tracks. There are no airshafts. 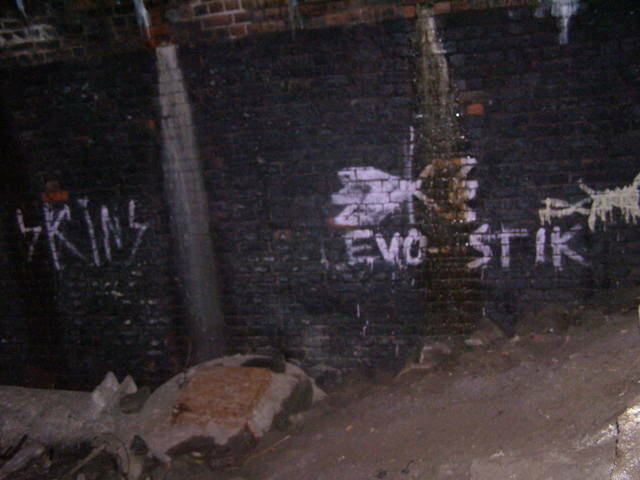 An unusual feature is the portal invert,constructed fro two colours of bricks. Some of the stone form the wall above the portal has been removed - so it looks a bit scruffy. 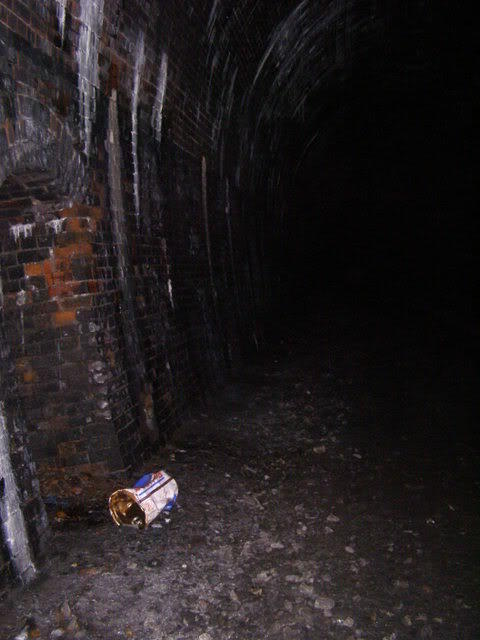 Report - Butterhouse Tunnel, Diggle - July 2012.